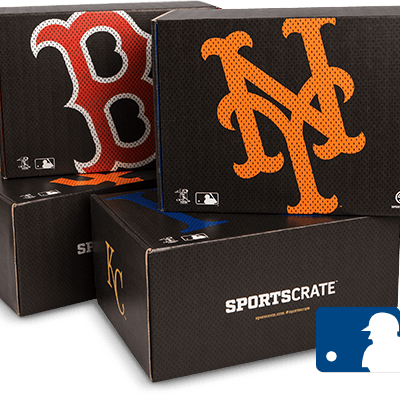 Sports Crate Cyber Monday Coupon: Save 40% on ALL Subscriptions! 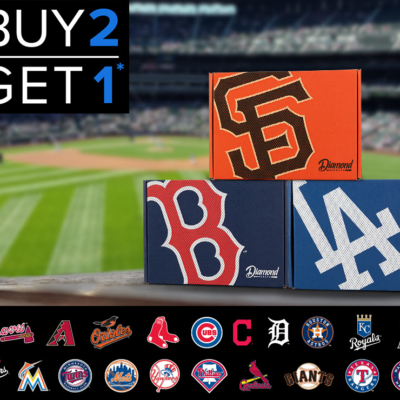 Sports Crate has a Cyber Monday coupon code for its baseball subscription box! 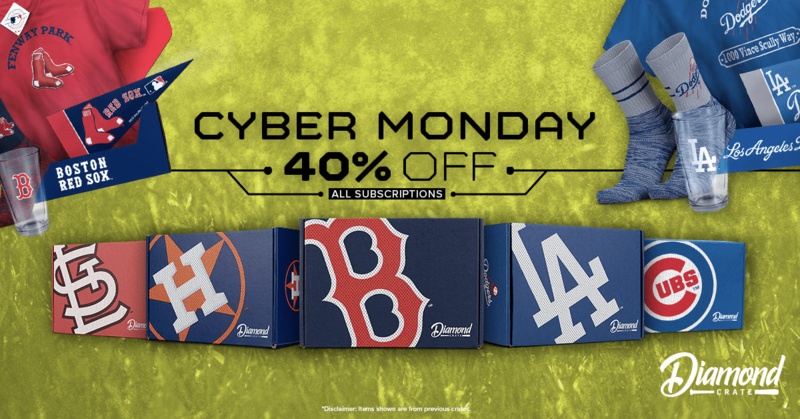 Save 40% on ANY LENGTH subscriptions with code CYBERMONDAY, valid on MLB Diamond Crate! Celebrate Cyber Monday with 40% off all subs — 2, 6 and 12-month! Use code CYBERMONDAY to save today! 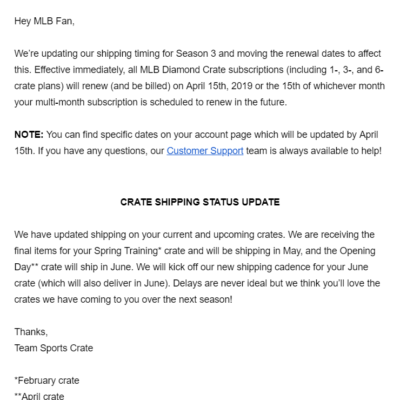 See our MLB Diamond Crate reviews to find out more about this subscription! Think of us as your own personal equipment manager, except we won’t wash your sweat stains. 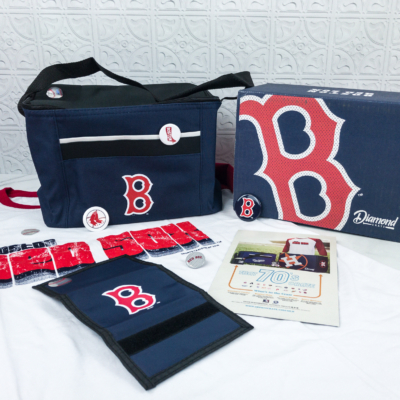 But we will send you 5-7 team-specific items every month that you can't get anywhere else. Gear, collectibles and a whole lot more. Save 15% off your your subscription. Use coupon code SPORTS15.